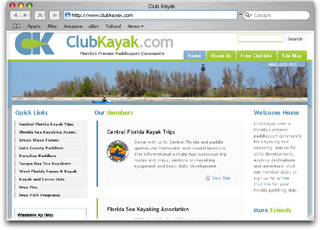 About ClubKayak.com - Florida's Premier Paddlesport Site. 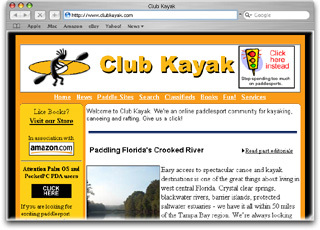 How about a stroll through ClubKayak.com memory lane? 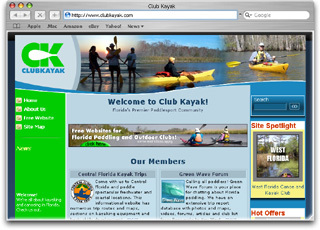 It all started in June 1999 with Ed Schessl's Central Florida Kayak Trips website. 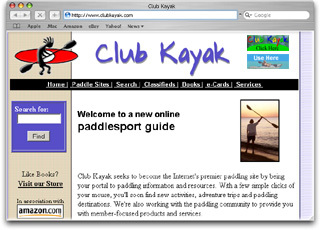 Within a few months of posting the first trip report, Ed was hooked on building paddling websites. 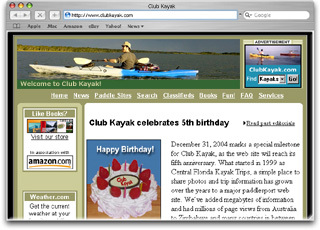 Something bigger was looming on the horizon and on December 31, 1999 Club Kayak launched. Not without fierce debate on being the last website in old millennium or the first website in the new one. The old timers won and we went live hours before midnight. 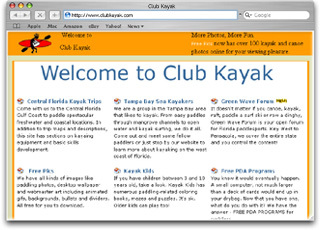 Below you'll see a few of the different looks Club Kayak has had over the years. Remember any of them? 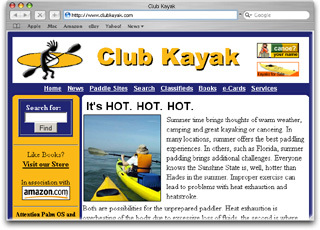 After hundreds, if not thousands of hours of paddling, writing and coding HTML, we certainly do. Here's to another ten years and maybe even a few more designs. 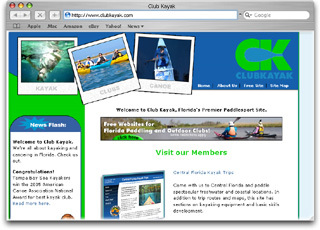 In the meantime, if you have questions or comments about ClubKayak.com, email us.